The flue system is a combination of many parts that work together to provide ventilation for a fire. For the chimney system to perform its venting role properly, the components should be installed correctly and maintained regularly. This means that homeowners should schedule routine chimney sweeps, and annual inspections to have the safest and most efficient chimney system. The flue is the actual vent that the smoke from the fire flows through. It goes from the fireplace to the top of the chimney where a chimney cap protects it. The flue should be lined with a flue liner that protects the masonry from corrosion, protects the home from hazardous gases, and prevents heat transfer. The flue liner surface should be smooth, and the joints should be strengthened with a high heat sealant. The flue leads exhaust gases and remains from the fireplace upward, to escape into the atmosphere. The flue is sufficient because it uses the stack effect that occurs when there is a significant temperature difference between the indoor and outdoor ends of the duct. It draws the exhaust gases and ash, which are light in weight, up through the flue and into the outside. Some heat is also lost in the process, and alterations can be made in or above the firebox to reduce heat loss. 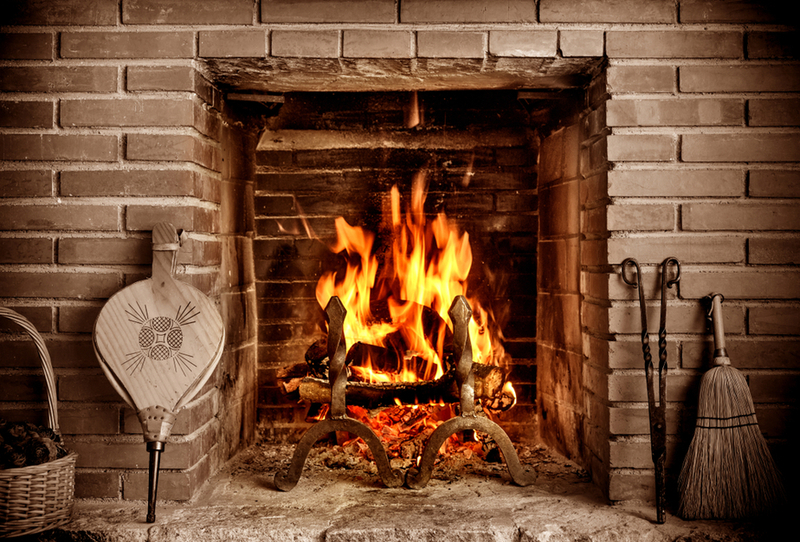 Failure to do an annual chimney flue cleaning can lead to a chimney fire or an inefficient heater. If not cleaned, creosote builds up on the walls of the chimney or flue. Creosote is a thick black tar-like substance, which is difficult to clean. The most convenient and safe solution to cleaning creosote is calling a professional chimney sweep to do the chimney flue cleaning for you. http://198.1.107.11/~soot/wp-content/uploads/2018/09/creosote1200.jpgThere are two main ways to clean a chimney: from the top down, and from the bottom up. The two approaches require the use of a chimney brush and moving it up and down the chimney. With the top down approach, the chimney cleaner climbs on top of the roof and uses a brush to remove creosote and other debris. It is a cleaner method, though less safe, and only those trained to work on roofs, like chimney sweeps, should do it. The ‘bottom-up’ method, requires lying inside the fireplace and ramming a brush up through the chimney. This is a safer method, as you do not have to climb on top of your roof. However, if you’re considering doing it yourself, you will need to clean everything very well to prevent a chimney fire in the future. Note that chimney brushes come in a wide range of sizes, shapes, and styles, and some variations use detachable rods, weights and ropes. Ensure that you know the inner measurements of your chimney or flue before purchasing a brush. The seller can recommend the appropriate one for your project. Other primary cleaning tools designed to remove creosote and soot used for chimney flue cleaning include vacuums, and chemical cleaners. Over the years, technological advances have improved the effectiveness of chimney cleaning tools, making it unnecessary for chimney sweeps to be covered in black soot. There are many old wives tales that give ideas on how to do an easy chimney flue cleaning. 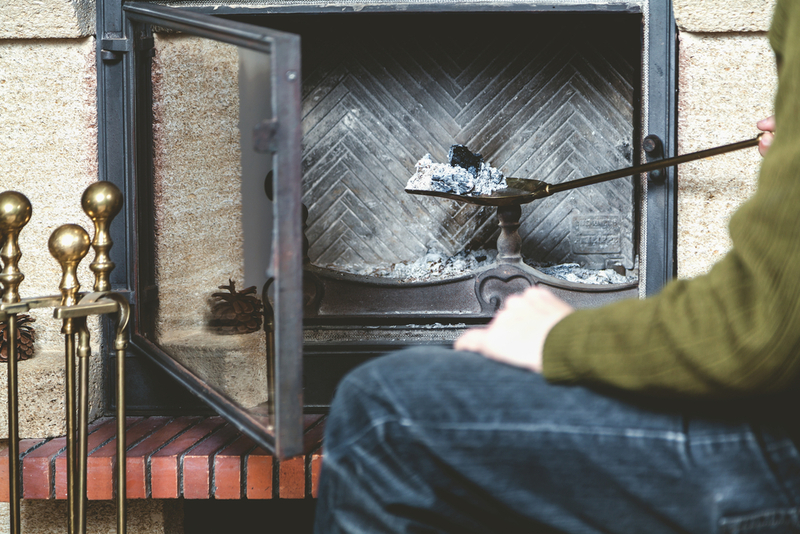 In no way should a homeowner rely on such tricks as opposed to having a professional chimney sweep make sure that the chimney is safe and not a fire risk. Before you start, it’s important to note that when cleaning your chimney, you need to ensure that you wear proper protective clothing including eye protection, rubber gloves, and a mask. It is also important to make sure that the fireplace is completely extinguished before starting. If you don’t have the necessary training or safety gear to work safely on a roof, don’t risk it – call a professional chimney sweep. Falling off a roof can lead to life threatening situations. As earlier mentioned, DIY methods of cleaning a chimney are not reliable, and there are people who pose as chimney cleaning professionals, but they might be scams that you cannot trust to do the job well. There are a lot of phone scammers, so be cautious of remarkably inexpensive chimney cleaning services. Chimney flue cleaning professionals should be certified, trained, and licensed. You can rely on them to do a thorough and dependable job of performing any chimney services. Make an appointment with us today and you won’t be disappointed.